Join Quackenbush Farm and non-profit Spark Northwest for a tour of the farm’s solar energy equipment. Participants will get to see the equipment up close, talk with industry experts, and learn about grants and incentives that can help fund a project for their farm or business. The tour is free and open to the public. A light lunch and refreshments will be provided. Pre-registration is requested at www.sparknorthwest.org. For questions or further details, contact connect@sparknorthwest.org. Join Spark Northwest for a free Solar Workshop! Learn about how Solarize and Spark Northwest are making solar more affordable and accessible. ¡EQUIPE SU NEGOCIO CON ENERGÍA SOLAR! Panel 1: Are new energy storage technologies a game-changer? Emerging energy storage technologies may change how we think about and plan the Northwest electric system. What are these technologies? What benefits do they offer? And how should they be employed? Panel 2: Beyond savings – All the benefits of energy efficient buildings. Energy efficient buildings save money and energy. They’re also healthier and more comfortable, helping residents and workers become happier and more productive. How can we make energy efficient buildings and their benefits available to all? A recent NW Energy Coalition study showed the dams aren’t necessary for an affordable, reliable, and clean electric system. How does that finding change the dam removal/salmon restoration debate? The weather’s getting cold, but trivia is heating up! Please join us for our Fall Trivia Night on Tuesday, October 23th! Put together a team of your trivia buddies to compete for bragging rights and prizes. In addition to fun with friends, purchase great food and beverages from the Lunchbox Laboratory, and learn how you can be involved in the clean energy revolution! To play, you need to be part of a team of 6 people or fewer. If you are a team captain you can have up to 5 friends sign up to be on your team. Team members—include you team captain’s name when you register. If you are not already on a team, no problem! We can assign you to a team or form a new one with your friends as they register. The Washington State Solar Summit is an important annual conference and networking event for industry stakeholders including manufacturers, installers, utilities, municipalities, legislators, educators, students, advocacy organizations/nonprofits, distributors, financial lenders, consultants and more. The 2018 Solar Summit will included a daytime conference, exhibition, and an evening networking reception. This is a must-attend event for anyone engaged in solar business and deployment, policy, education and advocacy in Washington state. DISCOUNTED EARLY REGISTRATION RATES NOW AVAILABLE! Special discounted rate for Solar Washington members and sponsors. Date & Time: Thursday October 18, 2018 6 – 8 p.m.
Funding your dreams can be one of the trickier parts of growing your farm. Many farmers are not aware of all the resources available for financial support. Whatcom Conservation District and Cloud Mountain Farm center are organizing a networking event on Oct 18th as part of the Whatcom Farm Speaker Series. Come make direct connections with funding agencies and hear a panel of successful grant recipients from the local farm community. 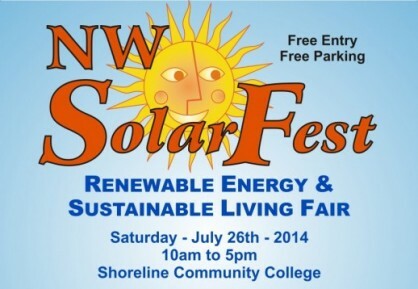 Spark Northwest’s own Program Manger, Mia Devine, will be there to talk about REAP grants for clean energy projects! The purpose of the event is to bring together organizations that are working to enhance agriculture in Whatcom County, to share information on local grant programs, and provide networking opportunities for local farmers to get their questions answered. This event is organized so to help local farmers will gain an understanding of what grant opportunities are available and what funders are looking for. Get all your questions answered in face-to-face interactions with representatives from local, state and federal programs, agricultural initiatives, and commercial or private foundations. Join Spark Northwest and Persephone Farm to learn about how the farm uses solar electricity to power the business, solar water heating for egg washing, an electric tractor, and other energy innovations. Hear local farmers, solar installers, and industry experts share their experiences with solar energy and learn how you can access grants and incentives to fund your project. Attendees will leave with meaningful takeaways that can be implemented to move organizations further along the path to diversity, inclusion and equity. Join Solar Washington along with fellow solar supporters and enthusiasts on Wednesday, September 5 from 6-8pm for an evening of networking and socializing at Hellbent Brewing Company in Lake City (Seattle). There will be a short presentation surrounding Solarize Puerto Rico: Renewable Energy & Resiliency. Speaking will be Hellbent Brewing Company Co-founder and Solarize Puerto Rico board member Jack Guinn who will talk about Solarize Puerto Rico, a nonprofit founded to contribute to the rehabilitation of the island in a sustainable way after the devastation caused by Hurricane María in Puerto Rico in September 2017. This is a free event, but you are asked to RSVP since space will be limited. Hellbent is a 21 and over establishment. Attendees may purchase food (from the food trucks) and beverages on their own. Click for directions and to RSVP. Join us for the Spark Northwest Summer Bash! Hosted at the Lagunitas Brewing Company, clean energy communities from across the region will gather together to celebrate the summer sun and the power of clean energy in the Pacific Northwest. Come learn about how Spark Northwest is bringing clean energy to communities across the region and support our work to make clean, renewable energy available to all. Who: You, your friends, neighbors, and anyone else! This is a kid-friendly event. Join Spark Northwest at the CleanTech Innovation Showcase! Innovation is the lifeblood of the Pacific Northwest’s cleantech sector. Each year, the CleanTech Innovation Showcase spotlights innovation by featuring the hottest cleantech companies, products and initiatives. Held June 25 at Bell Harbor International Conference Center in Seattle, the CleanTech Innovation Showcase features keynote speakers, panels and technology and research posters. More than 350 cleantech investors, partners, customers, media and policymakers will be on hand for networking and business development. Visit the CleanTech Innovation Showcase website to register today. Join us for Spring Trivia on Capitol Hill! You and your team can enjoy food, drinks and the chance to win prizes courtesy of Patagonia Clothing and Gear. To play, you need to be part of a team of 6 people or fewer. If you are a team captain you can have up to 5 friends sign up to be on your team. Team members—when you register to participate, you will be prompted to enter your team name. TEAM CAPTAINS: If you are a team captain you can have a team of up to 6, including the captain. TEAM MEMBERS: When you register to participate, you will be prompted to enter your team captain or team name. Don’t have a team? Don’t worry! We’ll help you find a team of smarties to play with. space is limited, please register to guarantee your spot! Cost: $15 suggested donation. To reserve a ticket without a donation, please contact Spark Northwest. The Oregon Solar Energy Conference is the nations best solar conference. In 2017 the conference hosted over 430 attendees representing over 170 companies. The conference had over 30 exhibitors and sessions ranged from technical training to business training to solar policy. Join us in 2018 for another amazing event. The GoGreen Conference is a sustainability learning experience for business and government decision-makers. Featuring regionally targeted content and recognized leaders from the community, GoGreen works across industry silos to foster peer-to-peer learning and collaborative solutions. GoGreen believes sustainability in the business setting is a powerful and indispensable tool for navigating the tumultuous waters of today’s global economy and solving our climate woes. GoGreen’s mission is to empower attendees with the strategies, tools and connections to green their organizations with profitability in mind. Have you considered investing in energy efficiency or renewable energy for your farm or business, but the starting costs were too prohibitive? The Washington State Conservation Commission, Pierce Conservation District, and Spark Northwest, in conjunction with Snohomish Conservation District are hosting a free workshop covering how to bring solar electric, solar thermal, wind, anaerobic digestion, or in-line hydro power to your farm business. There are opportunities for grant writing assistance, utility incentives, tax subsidies and financing support available to help farmers and rural small businesses purchase new energy-efficient equipment or install small-scale renewable energy systems. The USDA Renewable Energy for America Program (REAP) grant deadline is April 30th, so get your renewable energy project started today! Are you interested in reducing your business expenses or environmental impact through energy efficiency and renewable energy? Have you been turned off by the starting costs? There are new opportunities for grant writing assistance, utility incentives, tax subsidies, and financing support available to help farmers and rural small businesses purchase new energy-efficient equipment or install small-scale renewable energy systems. The Washington State Conservation Commission, Pierce Conservation District, and Spark Northwest are hosting free workshops across the state on how grants like the USDA Renewable Energy for America Program (REAP) can help pay to get energy conservation ideas off the ground. A light meal will be provided. Please join us for the Solarize Issaquah Volunteer Kick-off and Training! Solarize Issaquah is a collaborative effort of the City of Issaquah, the non-profit Spark Northwest, and community volunteers designed to bring solar energy to homes and businesses in Issaquah. This is a limited-time campaign designed to help homeowners and small businesses purchase solar electric systems with a streamlined process and group discount. The training will give community volunteers an overview of the campaign and solar technology, plus a chance to get started planning Solarize Issaquah. Snacks will be available. Join this free Workshop to bring solar electric, solar thermal, wind, anaerobic digestion, or in-line hydro power to your farm business. There are opportunities for grant writing assistance, utility incentives, tax subsidies and financing support available to help farmers and rural small businesses purchase new energy-efficient equipment or install small-scale renewable energy systems. The USDA Renewable Energy for America Program (REAP) grant deadline is March 31st, so get your renewable energy project started today! The third annual FREE Small Farm Expo will be held on Saturday, February 24th at the Northwest Washington Fairgrounds in Lynden from 9am to 2pm. Whether you are trying to grow your own food, making the transition from hobby to business or operating a small farm business, this event offers something for everyone. This event will include hands-on exhibits demonstrating the latest in agricultural innovations, products and services, as well as seminars by local veterinarians, financial advisers, and horticulturalists. Designed to be an informal meet-and-greet and networking event, visitors will find opportunities to engage with exhibitors and other farmers. Discover new resources to improve and expand crop productivity, animal health, pasture quality and homesteading happiness. Over 35 different organizations will be represented from tractor suppliers, agronomists, veterinarians, butchers, master composters, solar providers, financial resources for farmers, and much more. Additionally, there are presentations on the half hour with a special keynote from noon to 1pm. Refreshments will be available for purchase as well as lunch from Good to Go Meat Pies. FREE tarps and FREE soil test will be available to qualifying farmers, while supplies last. For more information, visit www.whatcomcd.org/small-farm-expo or contact Aneka Sweeney at (360) 526-2381 x103, asweeney@whatcomcd.org. The Washington State Conservation Commission, Pierce Conservation District, and Spark Northwest, in conjunction with Thurston Conservation District are hosting a free workshop covering how to bring solar electric, solar thermal, wind, anaerobic digestion, or in-line hydro power to your farm business. Spark Northwest has partnered with the Washington Conservation Commission to organize a series of clean energy workshops for farmers and rural small businesses across Washington. Attend a workshop to learn about clean energy technologies, current opportunities for grant writing assistance, utility incentives, tax subsidies, and financing support. Discover how you could get assistance to purchase new energy-efficient equipment or install small-scale renewable energy systems. Email ChristineC@PierceCD.org for to register, or with any questions. This webinar will discuss ownership and finance pathways for solar projects for public and affordable housing. Bracken Hendricks, President and CEO of Urban Ingenuity, and Wayne Waite, current principal at Waite & Associates and former Regional Energy Manager for the U.S. Department of Housing and Urban Development, will present solar financing structures for public and affordable housing, including models using low-income housing tax credits (LIHTC), tax equity investment, power purchase agreements and ownership flips, blocker corporations, and Property Assessed Clean Energy (PACE). Join your neighbors at the Roseburg Holiday Inn Express on January 3oth to Energize your community! Registration does not bind you to participating in the program or installing a ductless heat pump in your home. Registration simply means that you are interested in attending a workshop to learn more and receiving a quote through the campaign. There is no cost and no obligation for attending a workshop or getting a quote. Visit here to register today. This workshop is brought to you by Craft3 who are our sponsors of Energize Rogue. Thank you Craft3! While the utility monopoly model still currently dominates our energy system, the shift toward decentralized, distributed, and locally owned energy production – energy democracy – is growing and gaining momentum as a political, economic, and social movement. Energy democracy has also opened new spaces for collaboration between the environmental movement and movements for social and economic justice to promote solutions to climate change, and economic exclusion and exploitation. Especially in the current political environment, energy democracy is a powerful tool for taking back power, both literally and figuratively, to shape a community’s energy future with important environmental and economic implications. Join Island Press author and CEO of Emerald Cities Collaborative Denise Fairchild for a conversation about her new book, Energy Democracy: Advancing Equity in Clean Energy Solutions and how to build the movement for energy democracy. Dr. Fairchild will bring a national and policy context with case studies from around the country and the larger implications of this social, political, and economic movement. Steve Gelb, Emerald Cities’ Seattle Director will discuss local work to link greening our cities with advancing equity through initiatives that promote economic inclusion and environmental and social justice. Denise Fairchild is the inaugural president of Emerald Cities Collaborative, a national nonprofit organization of business, labor, and community groups. She is charged with advancing ECC’s “high-road” mission to green our cities, build resilient local economies and ensure equity inclusion in both the process and outcomes of a new green and healthy economy. Denise is nationally recognized and respected for her 40-year successful track record and innovative programs in sustainable and community economic development, domestically and internationally. Her civic and political appointments have included the California Commission on Regionalism, the California Economic Strategy Panel, the California Local Economic Development Association, the Urban Land Institute National Inner City Advisor, the Coalition for Women’s Economic Development and the Los Angeles Environmental Quality Board. She has lived, worked and educated her two sons in South Los Angeles since 1977 and also served as Mayor Antonio Villaraigosa’s special advisor for South L.A. Investments. Steve Gelb is the local Director for the Seattle Emerald Cities Collaborative. Steve began his career in the outdoor industry where he held leadership positions in business development and directed product development teams at Eddie Bauer and JanSport. He redirected his career to help improve the environment and make our society more equitable by helping to found SustainableWorks, a residential energy efficiency program in Washington State, and served as its Executive Director. While there, he helped pioneer a community based model with a one-stop-shop that retrofitted over 500 homes. SustainableWorks pioneered High Road Workforce Standards in the residential energy efficiency sector. With Emerald Cities Seattle he has partnered with the City of Seattle on a High Road Agreement for residential contractors and a Community Workforce Agreement for commercial contractors that insures quality jobs and opportunities for the apprentices and those under-represented in the construction workforce. He has also helped create programs to bring energy efficiency and renewable energy to non-profit owned affordable housing. Steve holds a BA in Government from Cornell University. Denise and Steve will also be joined by local energy and social equity experts. Join Spark Northwest at NEBC’s eight annual Washington’s Energy Future conference in Tacoma, WA. Get up to date on the intersection of energy, efficiency, innovation, and how these sectors impact the state’s economy. Gain an up-to-date perspective on the state of the industry, policy developments, and technologies. Learn about the forces shaping the markets for renewable energy, energy efficiency, and new fuels. Learn how energy efficiency can enhance business profitability. Explore how to do business in Washington – and with whom. Meet and network with colleagues, partners, and customers. Join Spark Northwest and friends at the NW Energy Coalition’s Fall 2017 NW Clean & Affordable Energy Conference, the region’s premier clean energy conference! Our regions most important energy topics will be addressed, including just transition to a clean and affordable energy future, the role of natural gas in the Northwest, and aligning utility earnings for clean energy investments. The Washington State Solar Summit is an important annual information gathering and networking event for industry stakeholders including manufacturers, installers, utilities, municipalities, legislators, educators, students, advocacy organizations/nonprofits, distributors, consultants and more. Join us for CleanTech Alliance’s 2017 CleanTech Innovation Showcase, the region’s leading one-day event to experience the latest cleantech innovations, ideas and initiatives along with cleantech industry leaders from across the U.S., Canada and abroad. Network with 500+ cleantech industry leaders, investors, policymakers and media from across the U.S., Canada and beyond. See the next-generation of clean technologies from 24 featured presenting companies. Tour the CleanTech Innovation Expo featuring international pavilions, company exhibits, technology demonstrations, research posters and more. Visit the Cascadia CleanTech Accelerator startup pavilion. Learn from renowned keynote speakers and panelists. The 2017 CleanTech Innovation Showcase will be held Monday, June 26, in Seattle. Use the promo code “NWSEED” to save 20% on your registration! Join our Energize Workshop on May 25, 6-7pm, at the Goldendale Public Library! Energize Klickitat is a group purchase opportunity for Klickitat County residents and small businesses to install ductless heat pumps while supporting the local economy. Ductless heat pumps are an energy efficient way to heat and cool your home at a lower cost than traditional heating systems. The Greater Goldendale Chamber of Commerce and Northwest SEED is partnering with local installers and community volunteers to boost awareness, deliver education, and provide considerable savings opportunities for Klickitat residents, while supporting local rural businesses and the clean energy economy. Join this community workshop at Mt. Adam’s Elk’s Lodge from 6:00-7:00PM on May 24th. Participants will learn about Energize Klickitat, which will work with local businesses and citizens to run a ductless heat pump group purchase campaign. Ductless heat pumps provide a highly efficient way to heat and cool homes that results in energy cost savings, and they often come with significant rebates or tax incentives. The group purchase campaign will provide local residents with an opportunity to purchase a ductless heat pump system at a discounted rate. Citizens will learn about financing options and incentives, cost savings associated with the technology, and benefits for the long-term health of the environment. With 9 out of 10 Americans favoring clean energy over fossil fuels, we know our communities support a sustainable energy system. But action at the local level will be pivotal to sustaining this growth. Now, more than ever we need to keep this momentum going for the renewable energy future! Will you give BIG to power our progress? Scheduled giving begins on Thursday, April 27th, mark your calendars! Join this community workshop at the Goldendale Home Garden & Sportsman Show from 2:00-3:00PM on April 29th. Participants will learn about Energize Klickitat, which will work with local businesses and citizens to run a ductless heat pump group purchase campaign. Join this community workshop at the Central Point Library from 6:00-7:00PM on Tuesday, April 11th. Participants will learn about Energize Rogue, which will work with local businesses and citizens to run a ductless heat pump group purchase campaign. Organized by BBI International and produced by Biomass Magazine, this event brings current and future producers of bioenergy and biobased products together with waste generators, energy crop growers, municipal leaders, utility executives, technology providers, equipment manufacturers, project developers, investors and policy makers. Northwest SEED’s Mia Devine will attend. Join this community workshop at the Maryhill Museum of Art from 6:30-7:30PM on March 28th. Participants will learn about Energize Klickitat, which will work with local businesses and citizens to run a ductless heat pump group purchase campaign. Clean Energy Isn’t Puzzling – But Trivia Night Is! Please join us for Trivia Night on Wednesday, March 22! Put together a team of your best trivia buddies to compete for bragging rights and prizes. In addition to fun with friends and great food and beverages at the Park Pub, learn how you can be involved in the clean energy economy! Now, more than ever, change will be led at the local level, and we can make great things happen. Join this community workshop at the Ashland Library from 6:00-7:00PM on Tuesday, March 14th. Participants will learn about Energize Rogue, which will work with local businesses and citizens to run a ductless heat pump group purchase campaign. This Thursday, Feb 23rd there is a Solar Lobby day in Olympia for advocates to help support passage of House Bill 1048, which improves and extends the WA Renewable Cost Recovery Incentive. Even if you can’t make it to the Lobby Day, you can play an important role by providing support for the bill and contacting your local legislator. Ensure there are clear goals to bring low-income customers into community solar programs. Allow cities, tribal governments, and housing providers to organize community solar projects. We also encourage you to contact your legislator and tell them to support HB 1048. At this point, it is most important to contact your local House Representative, and you can use Find your Legislator to obtain their contact info. Join this community workshop at the Talent Community Center from 6:00-7:00PM on Monday, February 16th. Participants will learn about Energize Rogue, which will work with local businesses and citizens to run a ductless heat pump group purchase campaign. Register for the workshop today! Learn how to bring solar to your community through this opportunity! At the workshop, representatives from US Department of Energy will talk about the SunShot Initiative, explain the emerging National Community Solar Partnership, and address the “Solar In Your Community” Challenge rules, including prize structure, teams, and timeline. You’ll also watch sample pitches and even brainstorm a pitch of your own. “Solar in Your Community” is part of the SunShot initiative launched by the U.S. Department of Energy to inspire hundreds of local teams to participate by bringing community solar programs and projects to their communities. Competing teams will be eligible for cash prizes and technical assistance from the Department of Energy and other experts nationwide. As a result of this challenge, teams will build local capacity to address the legal, technical, financial, and administrative aspects of community solar programs and projects, and solar will become a dream realized for many more people. The final Shoreline workshop will be held on August 11, 7-8:30pm, at Richmond Beach Congregational Church, 1512 NW 195th St. Shoreline, WA 98177. Join your neighbors to learn how solar can work for your home! Speak with energy experts about technical support, financing options, and how this limited time offer will move your neighborhood into a cleaner future! Woodinville residents, join your neighbors to bring affordable clean energy to your community! Through Solarize Woodinville, you can join a group purchase to save time and money on a solar system for your home or small business. To participate, your first step is to sign up for an educational workshop where you will learn more about installing solar and the Solarize campaign. Please join us for a free and informative Farm Walk at Badger Mountain Vineyard. Participants will hear from the farmer, solar installers, financial institutions, and renewable energy experts from Northwest SEED. Following the tours, participants can receive technical assistance from Northwest SEED to move their renewable energy project idea forward. Participants can sign up at http://tilthproducers.org/programs/farm-walk/upcoming-farm-walks/#RenewableEnergy or call 206-632-7506. Is there something you’d like to change in your life to make the planet a little bit better this Earth Day? Maybe you’d like to cut down how much you drive, install renewable energy at your home, or give support to a charity that works on a big issue important to you. Sign up here to participate in the Earth Day Challenge, and learn how you can make a difference. Join the Northwest SEED community at the Seattle premiere of Catching the Sun: a long awaited documentary by Shalini Kantayya exploring the future of the solar energy economy. The film will premiere at the AMC Loews Oak Tree 6 in Seattle. To attend the screening, please reserve your tickets here. Friends of Northwest SEED will meet before the screening to discuss programs, and the future of renewable energy in the Northwest. To join the conversation, please let us know you plan to attend. Thanks, and we hope to see you there! Join us for an evening of fun, friends, and competition! Clean Energy isn’t puzzling, but trivia is! Register here. The Skylark has generously agreed to keep the party fueled by donating $1.00 from each drink purchased to Northwest SEED. No need to find a babysitter–the Skylark is kid-friendly until 10pm! The Tour de Vance is back! The biggest party in Seattle will return for 2016! On April 7th the Vance Building will once again hold its Open House. Travel from floor to floor to visit non-profits and other businesses doing good work in Seattle. Just make sure to stop by Suite 901 to say hello to the Northwest SEED staff and friends! To RSVP, please visit the Facebook event here. Please join us for a free and informative Wind Energy Farm Walk at Bassetti Farm & Ranch. Participants will hear from the farmer, financial institutions, and renewable energy experts from Northwest SEED. Following the tours, participants can receive technical assistance from Northwest SEED to move their renewable energy project idea forward. Solarize U trainings give attendees the skills, materials, connections, and know-how they need to launch a Solarize campaign in their community. Join Northwest SEED and community leaders in Shoreline on March 25th. Learn more here. With support from Sustainable Path Foundation and the Department of Commerce, Northwest SEED will present “Solarize U” on January 28 from 6:00-9:00pm at 21 Acres. The training will give community volunteers and stakeholders an overview of the campaign and solar technology, plus a chance to get started planning Solarize Woodinville! After the training, you can decide how you’d like to get involved, volunteering with the campaign, joining a committee or just sharing the opportunity with your neighbors. RSVP TO Jill at jill@nwseed.org or 206-457-5403. Solarize U – Eugene will host its final workshop on Tuesday, January 19th. Join your community to learn more about technology options, financing, and site selection for solar. Solarize Snoqualmie is hosting its last workshop on January 13th at the North Bend Umpqua Bank! Join your community in learning more about options for technology, financing, and your path to solar. To learn more and register, visit Solarize Snoqualmie’s site. Solar Washington will host its general meeting on Wednesday, January 13th at the Phinney Neighborhood Association Community Center. Many solar advocates will be in attendance, and Northwest SEED Policy Manager Jaimes Valdez will share remarks on House Bill 2346 and renewable energy in Washington. Learn more about the general meeting here. Northwest SEED has worked diligently with stakeholders and partners to revise and improve the WA renewable energy incentive program, including extending the original incentive rates for existing solar customers. House Bill 2346 has been pre-filed to the house of Representatives, introduced by representatives Jeff Morris and Norma Smith. The Hearing on House Bill 2346 will be held Tuesday, January 12th at 10:00AM at the House of Technology and Economic Development Committee (TED). To show your support for this bill, please consider testifying before the committee. If you are interested, please reach out to Policy Manager Jaimes Valdez as soon as possible. Please reach out to the members of the TED Committee, to demonstrate your support for the bill. You can reach the committee members here. Join Northwest SEED friends at The Canterbury Ale House on Capitol Hill (534 15th Ave. E, Seattle WA 98122). Register here to join a team or create your own. Please consider making a $15 suggested donation to support local clean energy. Teams can have up to 6 players, including captains. Are you interested in making your voice heard and raising the profile of solar issues to legislators? Here’s your chance: come to Northwest SEED’s solar advocates meeting. Join us and Tilth Producers for an education and free farm walk at Tahoma Farms. Register today. With this year’s dry and hot summer, more farmers are thinking about climate change and increasingly turning to renewable energy both to become more resilient and to reduce their carbon footprint. Farmers can tour renewable energy on Washington farms during The Renewable Farm Walk Series, presented by Northwest SEED and Tilth Producers. Interested in installing a solar electric system on your home or business, or just learning more about solar energy? Attend one of our SolarWISE solar education workshops to learn how solar works, which sites are most suitable, how to select an installer, and what financial incentives are available to help bring costs down. Free! Register for a workshop today for a chance to win free door prizes! Dusty Williams of Broad Leaf Farm has been interested in solar since the 1970’s when he lived in an off-grid solar-powered trailer, but had always thought it would be too expensive. Today, Dusty’s farm has an 8.6kW solar electric system that supplies about 25% of the farm’s electricity needs. Join Dusty on a tour of his farm, and learn about his journey to renewables. Register today. The Small Wind Conference is a gathering of wind energy professionals including manufacturers, installers, distributors, site assessors, policy makers, advocates, and educators. Attendees will keep up to date on the small wind industry, improve their knowledge, network, and share their experiences. Northwest SEED will give a presentation on permitting challenges and solutions for distributed wind. Learn more here. As part of the Northwest Wind Center, Northwest SEED will facilitate a working group meeting for stakeholders involved in the distributed and community wind sector in the Pacific Northwest (WA, OR, MT, ID, WY). Participants will discuss relevant topics such as financing, permitting, and case studies. Participants can join in-person in Bozeman, MT, or via webinar. Our climate needs more champions to take a stand against dirty energy and promote clean resources. Join us on May 5th by participating in this exciting one day event of philanthropy! Now in its ninth year this is Oregon’s signature clean energy event, bringing together members of the energy industry, energy policy & economic development leaders, project hosts, and users of energy services. Northwest SEED members receive a $25 discount. Use Discount Code “OREF15” when registering. Presented by Northwest Environmental Business Council (NEBC). In partnership together, Snohomish PUD and Northwest SEED are preparing to launch a new Solarize campaign in South County. Register here to attend a free workshop. This workgroup meeting is for stakeholders involved in the distributed and community wind sector in the Pacific Northwest (WA, OR, MT, ID, WY). Participants will discuss the latest market challenges and solutions, and local experts will give presentations on relevant topics such as financing, incentives, and policy. The meeting is organized by the Northwest Wind Resource and Action Center with funding from the US Department of Energy’s WINDExchange program. Participants can join in person or via webinar. Please register here. In partnership together, the City of Mercer Island and Northwest SEED are preparing to launch a new Solarize campaign on Mercer Island. The Mercer Island Community Coalition is seeking volunteers (neighborhood groups and individuals) from Mercer Island for outreach efforts. Register here to attend a free workshop. This workgroup meeting is for stakeholders involved in the distributed and community wind sector in the Pacific Northwest (WA, OR, MT, ID, WY). Participants will discuss the goals, vision, and action plan for the workgroup, and local experts will give presentations on relevant topics such as financing, incentives, and policy. The meeting is organized by the Northwest Wind Resource and Action Center with funding from the US Department of Energy’s WINDExchange program. Participants can join in person or via webinar. Please register here. In partnership together, Seattle City Light and Northwest SEED are preparing to launch a new Solarize campaign in Southwest Seattle. Register here to attend a free workshop. Earn Continuing Education Credits. Stay Competitive. The Oregon Solar Energy Conference (OSEC) will be the regions largest professional solar training conference, providing the perfect venue for experienced solar professionals, sales persons, project managers, architects, engineers and those new to the industry to sharpen their skills, sell more installations, earn continuing education units, and network with other professionals. In partnership together, Snohomish PUD and Northwest SEED are preparing to launch a HEATWISE community ductless heat pump campaign in South Everett. The South Everett Community Coalition is seeking volunteers (neighborhood groups and individuals) from South Everett for outreach efforts. Register here to attend a free workshop. 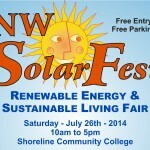 Come visit Northwest SEED at the Northwest Solar Fest at Shoreline Community College! Check out our booth to learn more about solar for you and your neighbors. See you there! Northwest Solar Communities will be offering a workshop on “Soft Cost” reduction strategies, Northwest SEED will be on a panel on Community Solar, and communities participating in the Northwest Solar Communities effort will be recognized. Join Northwest SEED and Snohomish PUD as we introduce our HEATWISE: South Everett community ductless heat pump project, and Solarize: South County with an event at The Cheesemonger’s Table in Edmonds. Meet the installer for HEATWISE, Evergreen State Heat & AC, as well as representatives from Northwest SEED, SnoPUD, Umpqua Bank, and other green organizations. Learn more about both programs, and find out about interesting volunteer opportunities this summer. We look forward to seeing you there! Snohomish County PUD, in partnership with local non-profit Northwest SEED, is conducting a pilot program to encourage installations of ductless heat pumps in their service territory. HEATWISE will build on the successful Solarize Washington photovoltaic group-purchase campaign model, leveraging the power of bulk purchasing to bring down costs for all. Like Solarize, the HEATWISE pilot is community-driven and geographically targeted. Come hear about the pilot, lessons learned to date and evaluate if this model could be applied to your programs. Plus share your feedback and creative thinking to help us make HEATWISE a success! The Washington State Solar Summit has historically been the venue to bring together all of the stakeholders in the Washington State solar industry. This includes: experienced solar Contractors and Installers, Architects, Engineers, Project mangers, Utility representatives, sales persons, environmentalist, and the impassioned advocates. Each year these groups have come together to discuss and create solutions to the unique issues they face promoting and expanding the use of solar energy in Washington. This year’s summit will be no different and the event has never been more important. With the sunset of the Washington State Solar incentives rapidly approaching the industry faces a major hurdle to its continued growth. This year’s summit taking place May 2nd and 3rd includes a Friday night reception to bring old industry friends together and for new connections to be made. Saturday will be the work day where individuals representing their respective stakeholders group will present on what they see as the best future for solar in Washington after 2020.